Took kitty to the vet. It was a long visit because we had to have a complete CBC done because he isn't sure whats wrong. He thinks its an eye infection, because now the eyes are watering. He has lots of drainage. You know how I said giving a cat a pill was hard? Well I have successfully given him eye drops. 4 times a day he receives drops in both eyes. 2 times a day he gets a different eye drop, and once a day he gets an oral antibiotic. He acts like he feels some better. 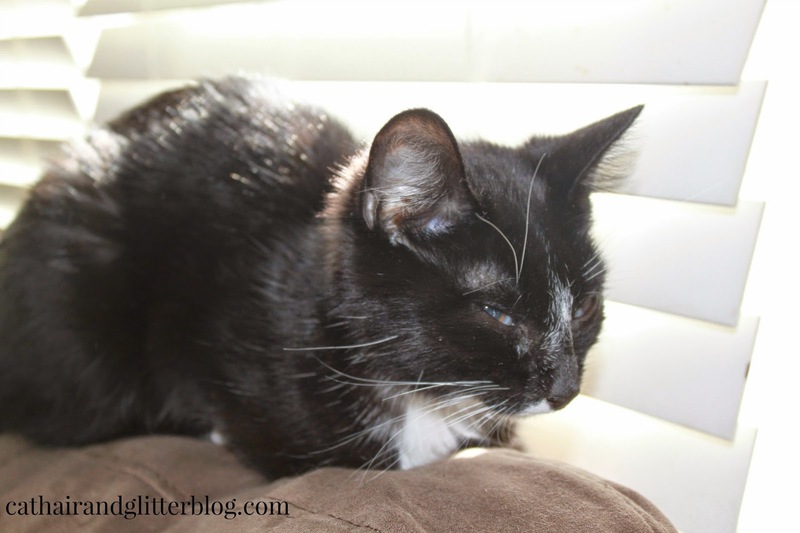 One of the drops dilates his eyes so he likes to either be carried around by me, or he sits with his head in a pillow. I brought his carrier inside and took the door off so he will have a dark place to go hide if it gets too bright for him. I successfully gave up Dr Pepper for Lent. I won't even lie and say I wasn't counting down until I could drink it again. I also won't pretend that not losing any weight even though I gave up drinking all those useless calories disappointed me. I attempted murder on some potted plants. 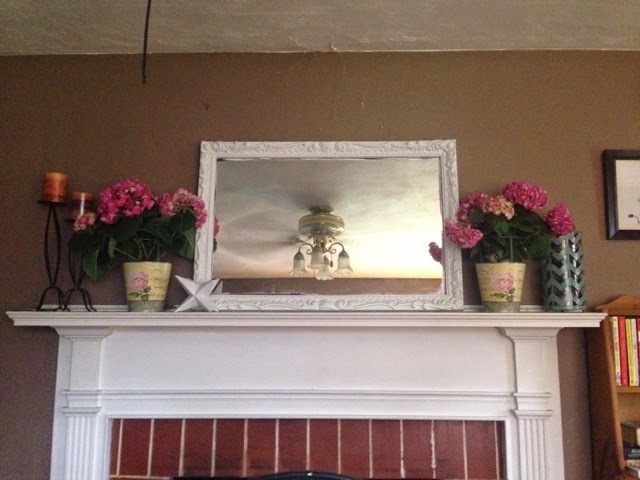 I bought some pretty hydrangeas for my mantle because the tag said indoor decor. From Friday to Sunday they wilted. I planted them outside but I predict they will be dead soon. I just don't have a green thumb even though I love flowers. I watched Duke get a step closer to winning the national championship. I'll leave it at that. I built a Fairy garden. It had been on my to do list for a year and after some trial and errors I finally accomplished it....with the help of my sister. I can't wait until the flowers we planted in the garden start to grow. Its going to be gorgeous. and finally, I survived hosting a sleepover with 9 little girls. Thankfully Abbey and her friend Hannah helped. Otherwise I am not sure I would have been able to make it. 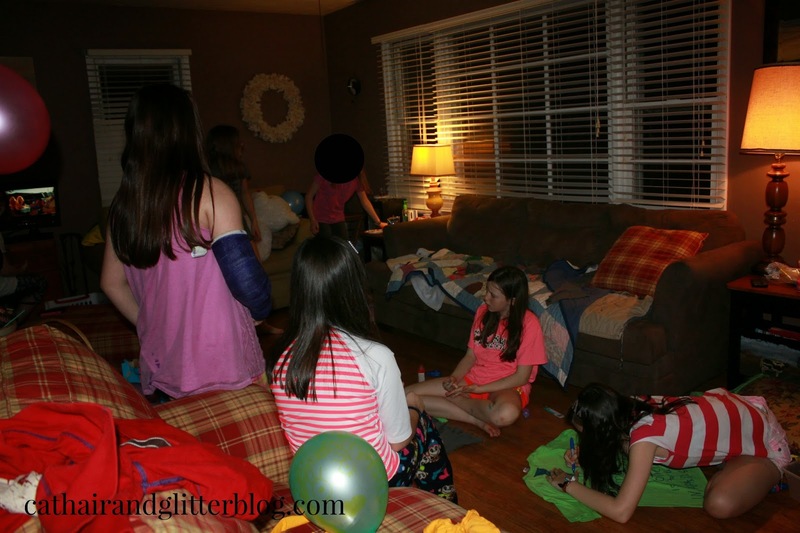 It was loud and my house was a mess, but all the girls were so sweet and well behaved. Nothing like the parties from my childhood. I've tried to grow flowers from seeds a bunch of times and I've never succeeded. So no green thumbs here either! 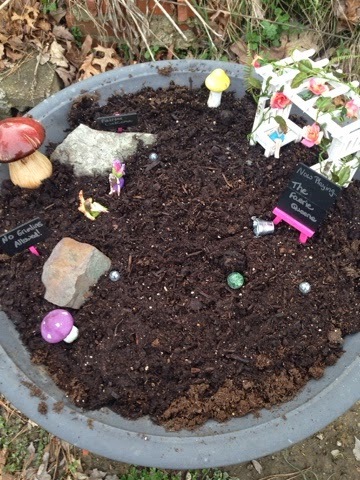 The fairy garden is such a fun idea! I hope your kitty gets better soon. Both for his sake and for your finances. He is so whiney, he follows me around meowing until I sit down and let him sit beside me. I can tell he still feels bad. I called today to get another appointment for this week. Lets hope its the last one for awhile. Hydrangeas and Peony are my favorites and I can't keep them alive at all. My next door neighbor is awesome and has such beautiful landscaping. Wrapping him up like a burrito in a towel is how I do it. He's scratched me but not too bad. I hate he has felt bad for so long. Okay, I actually laughed out loud at that, because I thought I was the only one who burrito'd my cat. Sometimes we have to do that with her if she won't stop acting out (scratching the same spot on the couch even after we tell her no) so we put her in a burrito-style time out for about five minutes. 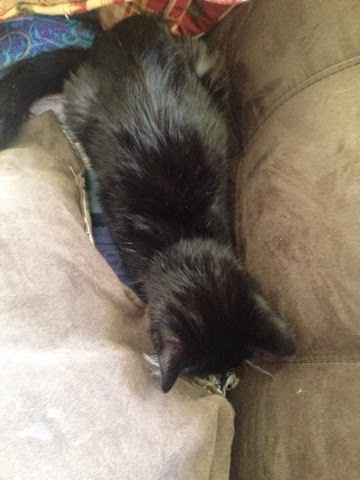 But now she actually enjoys it, and will start purring. Last time she didn't want to leave. I think she just likes the warmth. My cat is weird. That's too bad. I'll keep my fingers crossed for you!